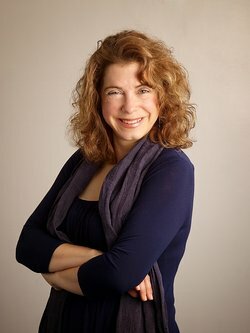 I'm an enormous Mary Sharratt fan; her novels are rich, detailed, evocative, complicated, lush, and compelling. (See my reviews for Illuminations and The Dark Lady's Mask.) 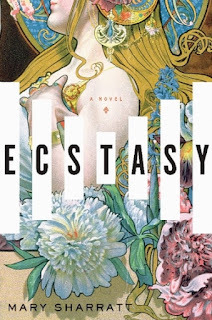 I'm sharing my review of her newest novel, Ecstasy, tomorrow, but needless to say, it'll be all gushing praise. Sharratt's portrait of Alma Mahler, Gustave Mahler's beautiful, talented wife, is so good. I couldn't say I liked Alma's choices, but Sharratt allowed me to imagine why she would have made them. I'm delighted to share my interview with Ms. Sharratt about Ecstasy. There's also a giveaway at the end, too! How did Alma's story cross your path? I’ve always been a huge Gustav Mahler fan. I adore his music and he appears like the perfect tragic hero, rising up from rural obscurity and facing insurmountable struggles in his life, and meeting his untimely death with great courage and dignity. But then I became intrigued by the figure of his wife, Alma, especially after I learned that she was a composer in her own right and had given up her music at his behest. I wanted to put her at the center of her own story and explore her heroine’s journey. I always felt many Mahler fans have unfairly blamed her for Mahler’s downfall and I wanted to go deeper and explore her beyond all the femme fatal clichés that have been heaped on her. Was Ecstasy the original title of your book? Indeed it was. The name comes from one of Alma’s songs, "Ekstase". As you were writing Ecstasy, was there a particular scene or character that surprised you? I compulsively read Alma’s early diaries cover to cover and was very pleasantly surprised to discover the secret Alma hidden in those private pages—a soulful and talented young woman who had a rich inner life away from the male gaze. I was also very intrigued to learn about the very accomplished women friends she had that have all but been written out of history-- for example, her girlhood friend, the sculptor Ilse Conrat, and her New York friend, the ethnomusicologist, composer, and Native American rights activist, Natalie Curtis. Alma totally passes the Bechdel test! As you were writing, what did you do to anchor yourself in Alma and her world? Particular food, images, smells, sounds? I played her and Mahler’s music continually. I also went on three extensive research trips to Vienna and visited her and Gustav’s summer homes in the mountains and went on the hikes they would have gone on. I went to Alma’s favorite musical haunt, the Vienna State Opera, to see her favorite opera, Wagner’s Tristan und Isolde. I immersed myself in the paintings of her admirer Gustav Klimt, of her lover Oskar Kokoschka, her stepfather Carl Moll, and her father Emil Schindler. I tried to plunge myself into her world. I’m currently reading Stacia Brown’s Accidents of Providence, set in the English Civil War. It’s excellent, harrowing, literary historical fiction. I also blurbed Stacia’s latest book, The Half-Wives, set in turn-of- the-twentieth- century San Francisco. My thanks to Ms. Sharratt for her time and thoughtful responses. Fantastic interview, Mary & Audra! Thanks so much!